After my off-roading experience back in August 2017 with the brand new, redesigned 2018 Ford F-150, I was excited to have an opportunity to drive it here in Austin, Texas next. Although my time was short due to me heading off to hang out with Ford at NAIAS, it was plenty of time for me to fall in love all over again with this truck. Let's chat about this new mug you are seeing here. Up front, the changes include new lights, bumper, and at least seven new unique grills (one for each model), as well as six new wheel designs to choose from. Altogether, they really go a long way to make the truck look better than ever. Inside, there are four new interiors to choose from and going even further, inside the hood there are five engine options. There's a load of new tech and safety features to take in, too! The latest Sync3 is better than ever and when you have a sweet Bang and Olufsen sound system to blast the tunes, you'll be rolling down those windows and jamming out. Apple CarPlay and Android Auto compatible and 4G LTE Wi-Fi hotspot that can connect up to 10 devices. To cover safety, there is a 360-degree camera to cover every angle which is VERY useful when backing up and parking or even navigating through tight turns while off-roading. Still feels unreal to give that type of example, but if you watch the video, you'll see us using it! Other features include pre-collision alert with pedestrian detection, blind-spot indicators that work with a trailer and adaptive cruise control. Can we also talk about this lavish interior? 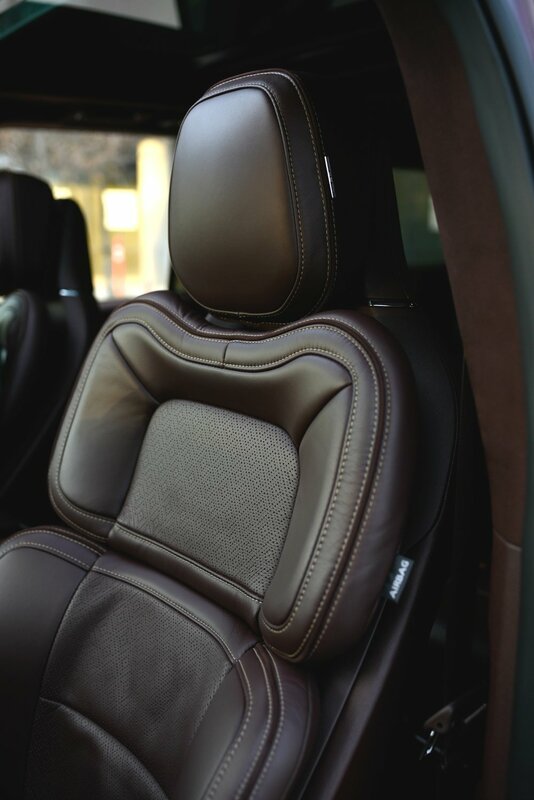 The trim was Java color leather with black accents. The contrasting stitching catches your eye! While sitting in the seats, you'll be living large while getting a massage and also enjoying the heated and cooled options. Even the second row had heated seats! For this drive, the truck was the 4x4 SuperCrew, 3.5-liter EcoBoost with the King Ranch trim. At some point, I know my husband is dying to test out the Trailer Backup Assist, so next time we have this truck, we'll have to rent a boat for a day of fun! All-in-all, the new F-150 was fun to drive and do cool things like dropping the tailgate and hanging out in the back for lunch with our boys. My husband is already begging to have it back, so at some point, I can see a Ford F-150 in our garage. 2018 Detroit Auto Show with Ford - PLUS Mustang Bullitt Commercial starring ME! 2018 is off to an unbelievable start! I headed to the 2018 Detroit Auto Show (NAIAS) with Ford. From the press event, to fun experiences at the show like starring in a Mustang Bullitt commercial, the trip was unforgettable. Let me know what your favorite part was! 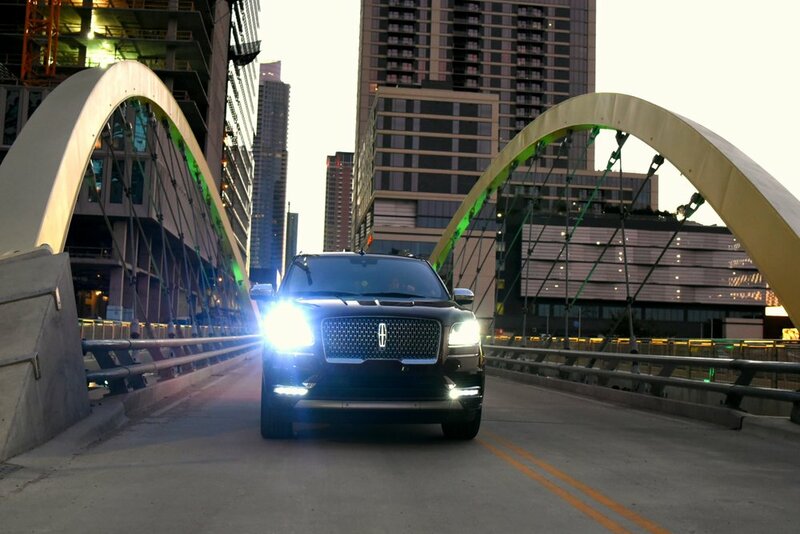 I was driving the all-new redesigned 2018 Lincoln Navigator for a week. Having to hand the keys over at the end was brutal. Once you watch this video, you'll see how beautiful this SUV is! Could you give it up after driving it? The video walks you through all of the fabulous features, so please make sure to watch! The 2018 Lincoln Navigator Black Label Edition is nothing but super posh. That intricate chrome grill stands out, but especially when the Lincoln emblem in the center of the grill glows. After you get inside, you feel like you’ve entered heaven. 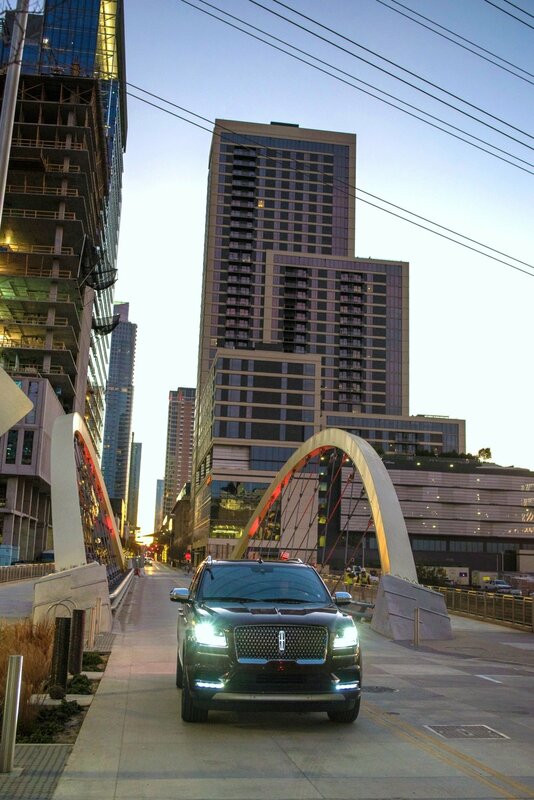 Lincoln’s Perfect Position 30-way heating, cooling, and massaging seats are no joke. I could live in these! You are immediately drawn to the 12-inch touch display that runs Ford’s SYNC 3 platform and also includes Android Auto and Apple Car Play. Plus, the Navigator includes a “heads up display” that presents selected information on the windshield. Other cool tech features include wireless charging in the front, WiFi hotspot functionality for up to 10 devices, 6 USB ports, four 12-volt outlets and a 110-volt plug. The 2nd row also has the controls for the audio, temperature and more. The pure digital instrument cluster shows off beautiful graphics as you change the driving modes. And let’s not forget the 20-speaker Revel II sound system, which can mimic the experience of being in the audience at a concert hall. Some of the technology on the exterior include LED puddle lamps that light up as the driver approaches the car. Plus you have speed-dependent adaptive lighting which narrows the light beam as the car accelerates to reduce glare. The trim I was driving was the Black Label Destination Edition and even though it has a hefty price tag of $96,150, you could feel that it was worth every pretty penny.